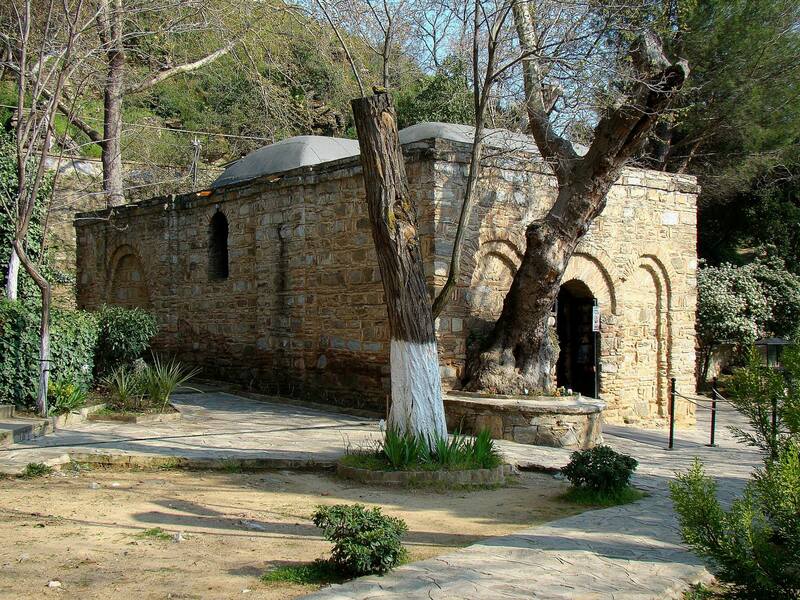 The House of the Virgin Mary (or Meryem Ana Evi in Turkish) is a place where, according to the beliefs of many people Mary, the mother of Jesus, spent the last years of her life. She was supposed to arrive at Ephesus together with St. John and lived there in the years 37-45 CE until her Assumption (according to Catholic doctrine) or Dormition (according to Orthodox belief). 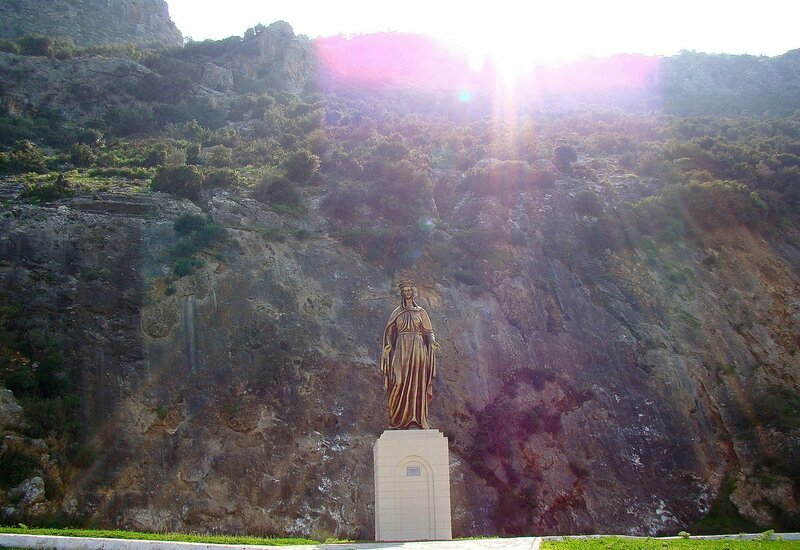 In the 19th century a German nun, Catherine Emmerich, had visions of Mary in Ephesus though she had never been in this area. 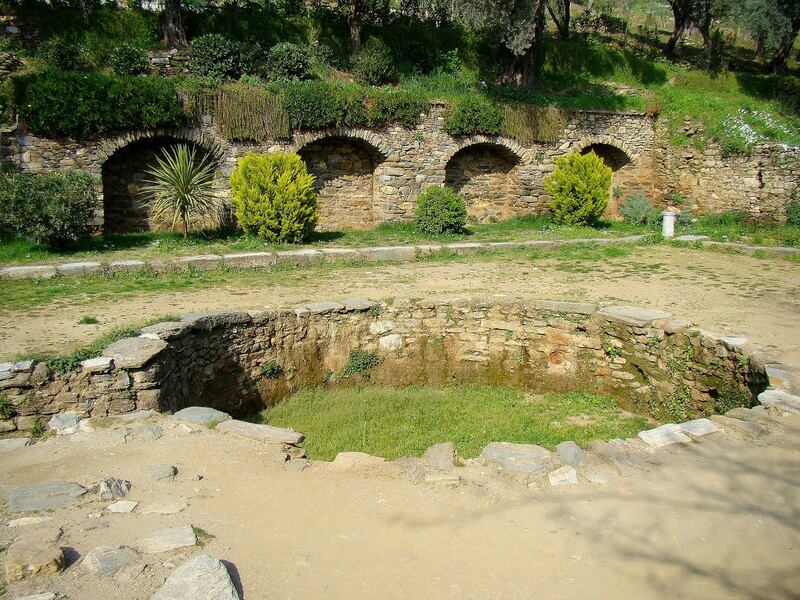 On the basis of her description, the priests from Izmir discovered the foundations of the old homestead on a wooded slope of Bülbüldağı (the Hill of Nightingales), also known as Koressos, near Ephesus. The house was dated to the 6th century AD, but some of its fragments came from earlier times, perhaps even from the first century CE. Although the place has never been officially recognised by the Catholic Church as the home of Mary, a lot of gestures made by the popes authenticated its history in the eyes of the faithful. First, Pope Leo XIII blessed the House of the Virgin Mary during his pilgrimage in 1896. Secondly, Pope Pius XII gave the House of the Virgin Mary the status of a Holy Place in 1951. This privilege was subsequently confirmed by Pope John XXIII. Finally, Pope Paul VI paid a visit in 1967. Since then the House of the Virgin Mary has become a place of pilgrimage for the faithful. In more recent history, the House of the Virgin Mary was also visited by Pope John Paul II, in 1979 and, more recently - in 2006 - by Pope Benedict XVI. There is none decisive historical evidence to support the theory that Mary spent the last years of her life in Ephesus. However, some indications testify in favour of the theory. The first one is the documented presence of St. John in Ephesus. Jesus entrusted him to take care of his mother before dying on the cross. In Selçuk, we can even see the tomb of St. John and his basilica. 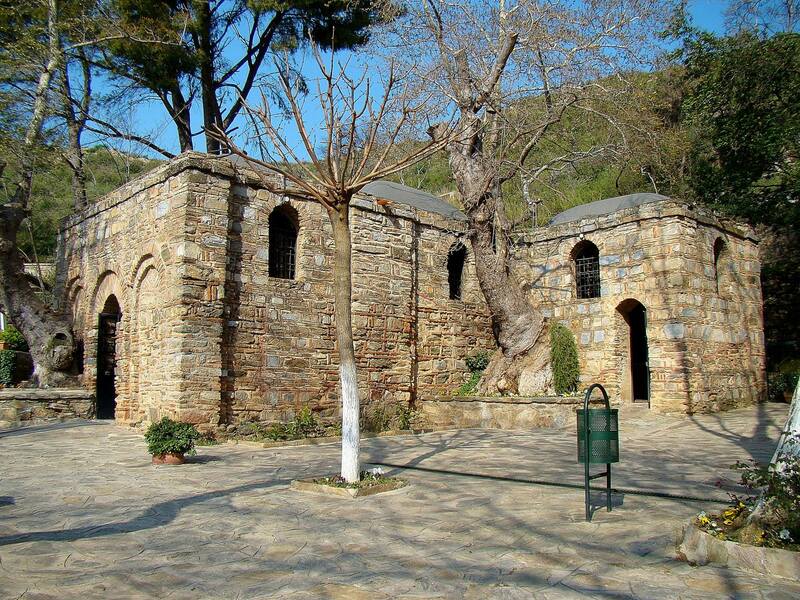 The second premise is the existence in Ephesus of the Church of St. Mary. It was the first temple devoted to Mary, the mother of Jesus. Additional arguments brought during the debate over the authenticity of the House of the Virgin Mary are the choice of Ephesus on the venue of the Council of Ephesus. It was convened in 431 to resolve the dispute concerning the determination of the unification of human and divine nature in Jesus Christ and the title of Mary as the Mother of God. Additionally, the Greek inhabitants of the nearby village of Şirince had the custom of pilgrimages to a place called Panaya Kapulu to celebrate the day of the Dormition of the Virgin Mary. Currently, the restored house serves as a chapel. Every August the 15th a solemn mass is held there to celebrate the ascension of Mary. Masses are also celebrated every Sunday at 10.30 am. 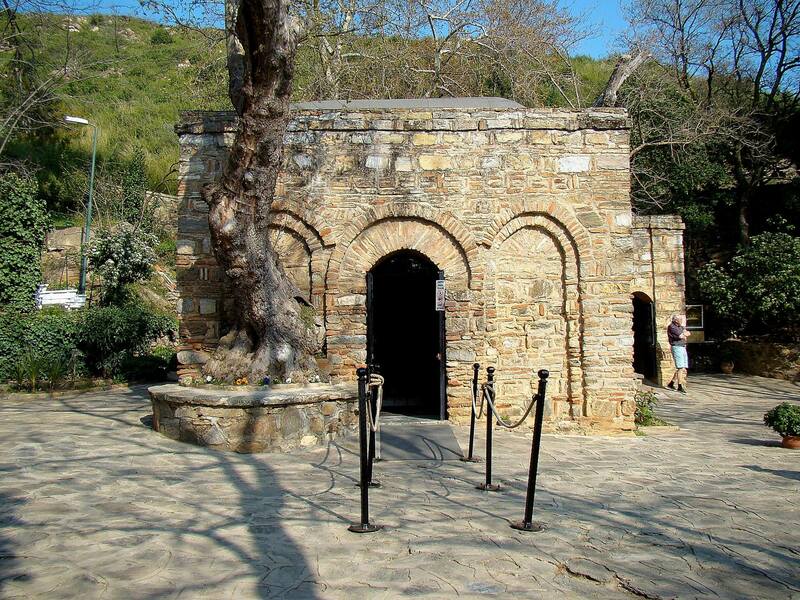 Typically, the chapel is crowded by huge numbers of tourists who visit Meryemana while on their way to or from Ephesus. The place is under the care of the Franciscan order. The House of the Virgin Mary also has enormous significance for the Muslims, for whom Mary was the mother of one of the great prophets of Islam, called İsa Peygamber (i.e. Jesus). 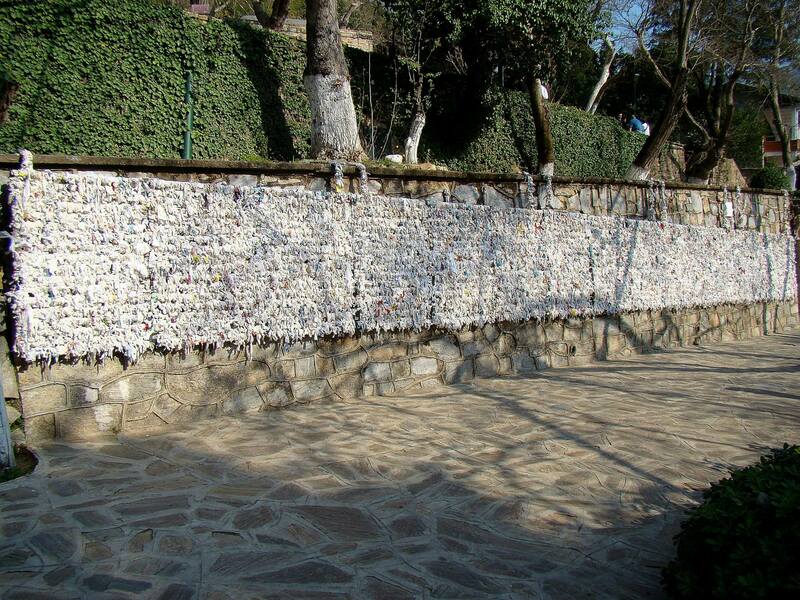 Below the chapel, there is a wall covered with ribbons of fabric, paper or plastic, which Muslims bind to express some wishes. All the photos of Meryemana in this text were made by © Joe Schmermund. 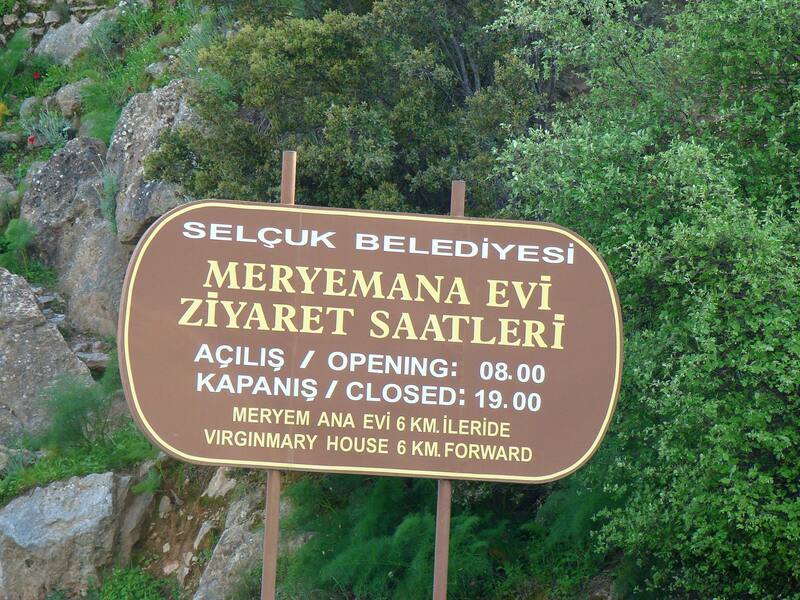 The entrance to the House of the Virgin Mary costs 15 TL. There are additional charges for entering the site by car and for the car park. 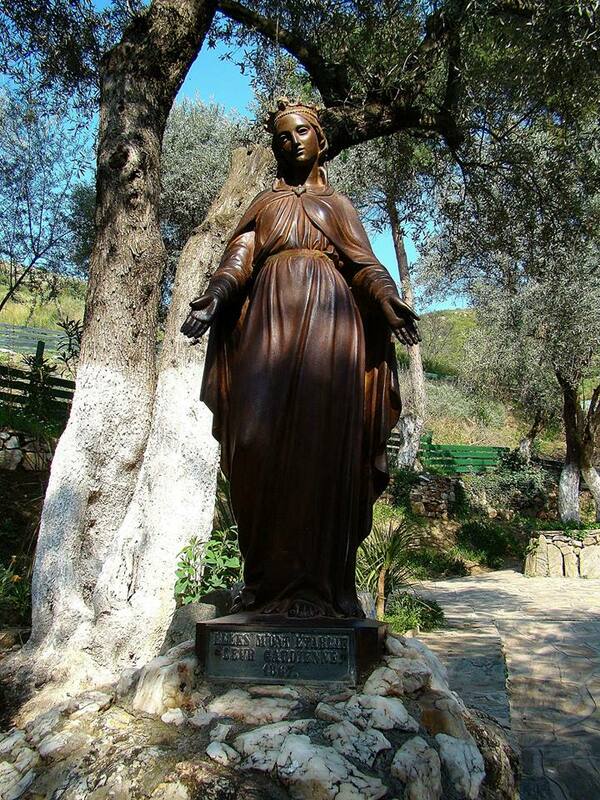 There are no public transport options to get visitors to the House of the Virgin Mary. If you travel independently, you need to rent a car, take a taxi or walk the distance of 7 km from the northern gate of Ephesus or 5.5 km from its southern gate.